Today is Radio Lollipop Western Australia’s 33rd birthday and our Super Saturday team is ready to celebrate. If you have a Radio Lollipop memory, tell us below!! 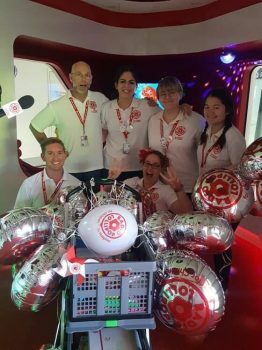 33 years ago today, Radio Lollipop Western Australia opened their studio at Princess Margaret Hospital, and now here we are in 2018 still providing care, comfort, play and entertainment to children and their families in 8 hospitals around WA. We can't wait to see what the next 33 years will bring!